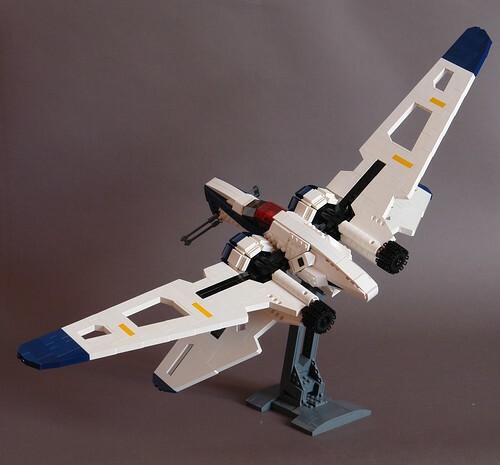 Introducing the BTL 8 "Super Y"
After the attack at the Starkiller Base - which was a near failure because the T 70 did not have enough firepower to damage the reactor core - the engineer corps of the resistence was ordered to develop / rebuild / steal or whatever to get a squadron with heavy fighter/bombers. 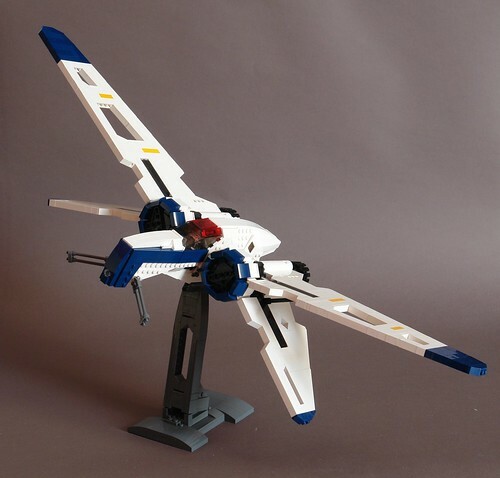 The B-Wing Design wasn't that successful - especially for ground attacks - and no other design was available, they took the ol' workhorse of the rebellion the BTL 4 Y-Wing. They ripped everything of unless the got the pure titanium frame and put in the most technological advance modules on the market. After weeks of hard work and testing a new star was born: The BTL 8 "Super-Y". 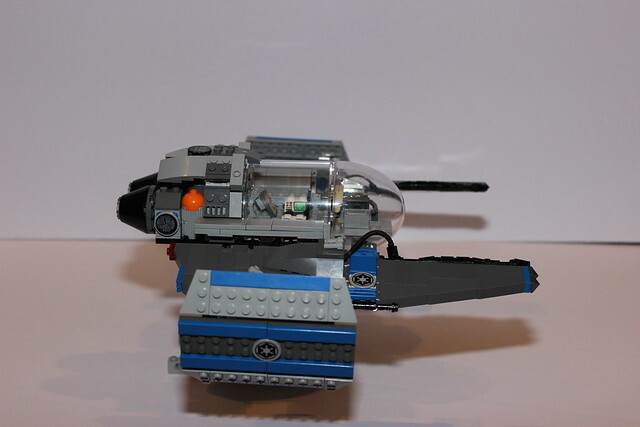 Avionics, Hyperdrive Systems, Shields Sensors and Targeting were also updated. At the moment,the first 4 Super Y were put into service - called Gold Squadron, honoring the heroes of the first death star attack. The main ion guns were changed for some Taim&Bak High-Energy Laser, Typ "Detonator". Aditionally, four wing-mounted KX 20 Laser for dogfigting and strafing. 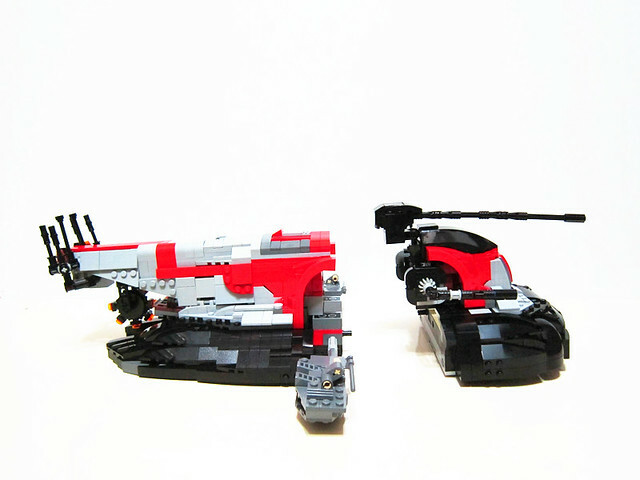 To strecnghten the Super-Y defense, Laser turrets were installed, a double KX 20 on thop and Marksman 100 Turret on the upper side. 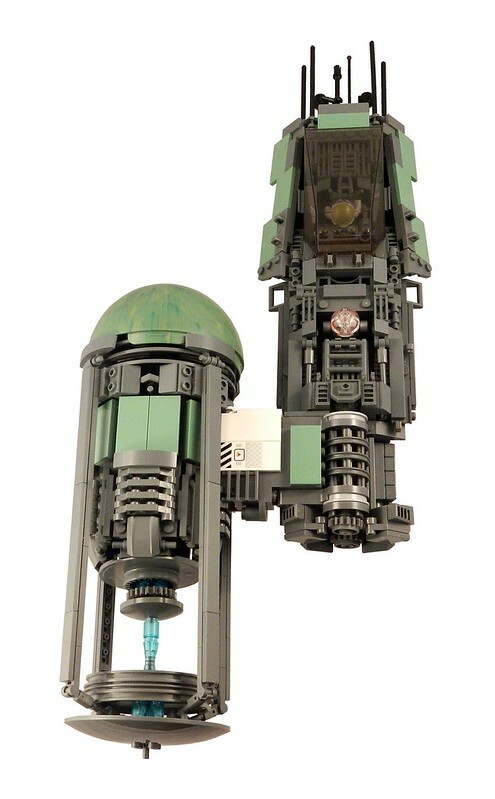 The turrets can be controlled manually by the weapon systems officer or automatically by the newest Fabritec Fighter Targeting System 2.2. 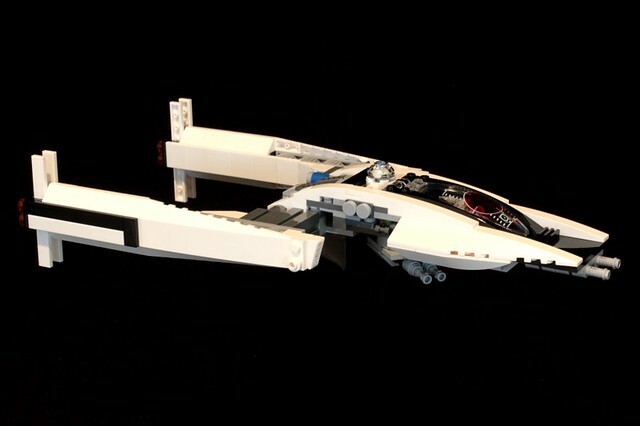 The proton torpedo launcher was moved to the sides of the canopy module, so that the pilot can directly look to the ground, making strafing easier. Two heavy anti-frigate concussion missiles and 4 unguided plasma rockets were also attached. mospheres the Super Y became 3 different types of twin engines. In an emergency, all engines could be aligned to reach max. escape speed. If powered, the Super Y is for 20 seconds faster than every other fighter - including the new RZ-7. Last edited by jansued on Thu Jan 14, 2016 1:40 pm, edited 1 time in total. 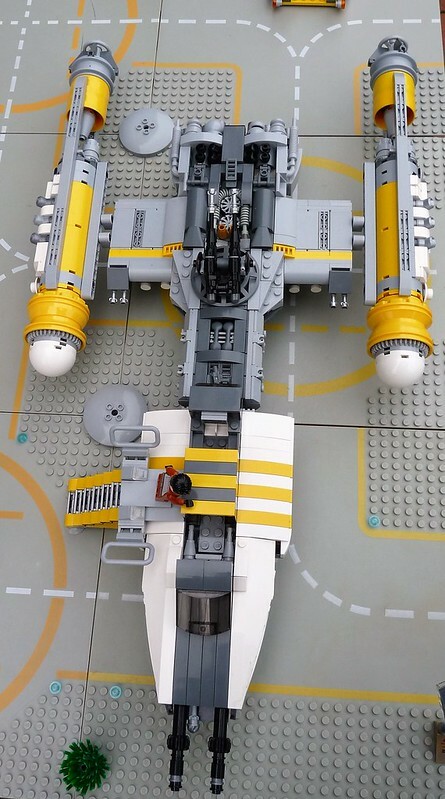 Awesome starfighters posted so far. 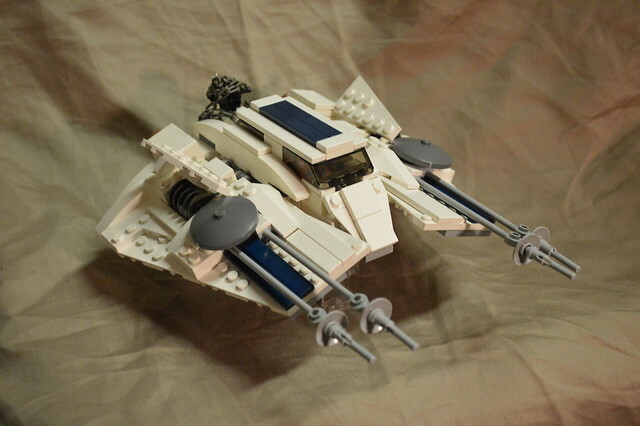 Obviously the Y-Wing's absence from TFA was glaring. So here's another! 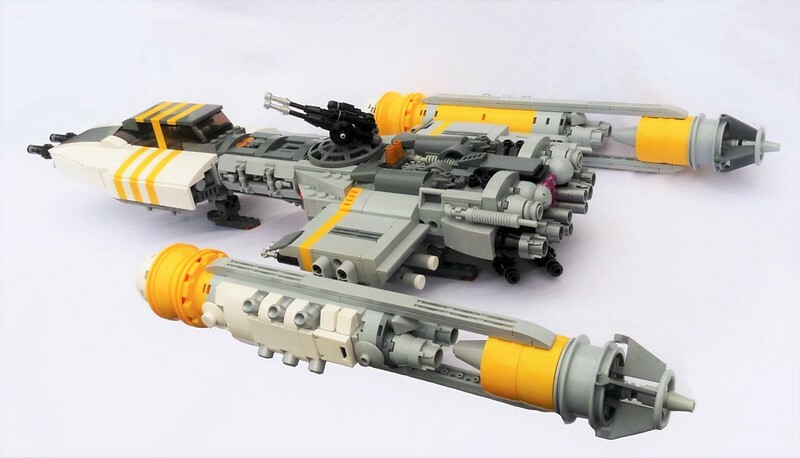 The BTL-GM7 Resistance Y-Wing, was pieced together from the larger BTL-S4 models into a more compact and maneuverable fighter. 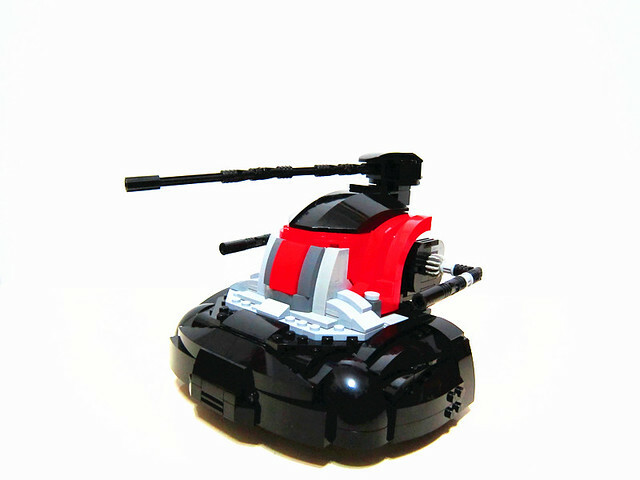 Instead of lumbering into battle and trying to ward off TIE fighters with a turret, the GM7 uses its larger engine to maximize the speed of its approach and a rotating arm to keep the engine out of the direct line of fire. Thanks for looking. Good luck to everybody. dWhisper wrote: So long as it doesn't involve breaking/cutting/altering a part, it's all good. If it's cut to an official length then it's fine, otherwise it's out. But as we have no way to verify this ourselves we're relying on the honor and honesty of the builders here. Thanks for the rule clarification, I'll keep my post like it is then. 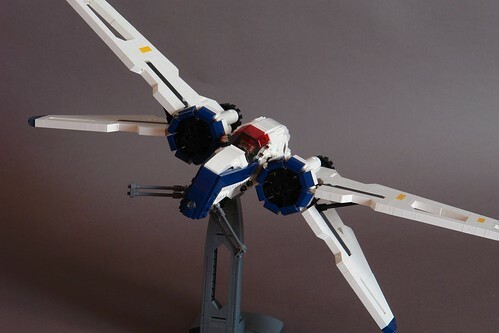 1/4 of all entries are now Y-wings, woah. It is very interesting to see what kind of evolution everyone came up with, especially on the same ship. I hope to see some more cool stuff in the coming days. Playing Star Wars Racer Revenge now and I'm really bummed I did a new pod update instead of a Sebulba evo. Don't suppose I can still change what my entry is? As long as you swap out the pics in your entry post by the deadline, you're welcome to change your submission. 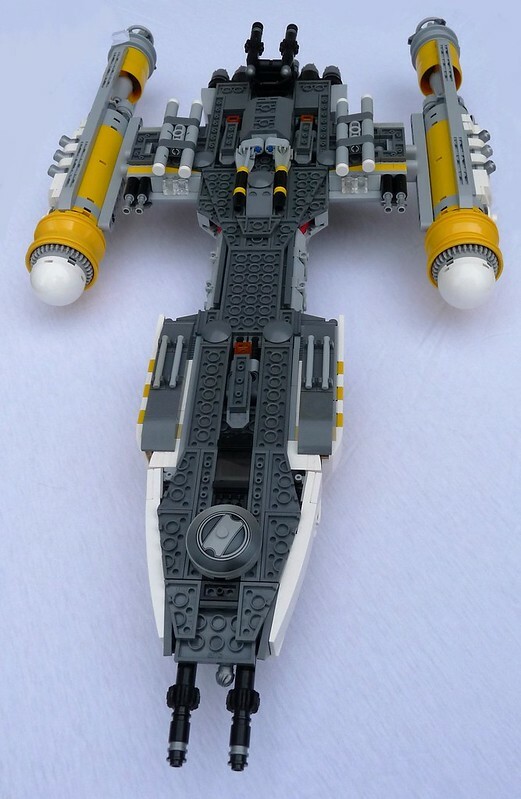 now with more firepower, and 30% faster warp speed! order now and it comes with this limited edition bauble canopy instead of the traditional cone, which is scientifically proven to provide better safety in accidents and have better visibility. BUT WAIT, THERES MORE! if you call in the next 7 and a half seconds we'll throw in a cat, absolutely free! *This is a limited time offer, only at participating restaurants. non refundable. vote me. 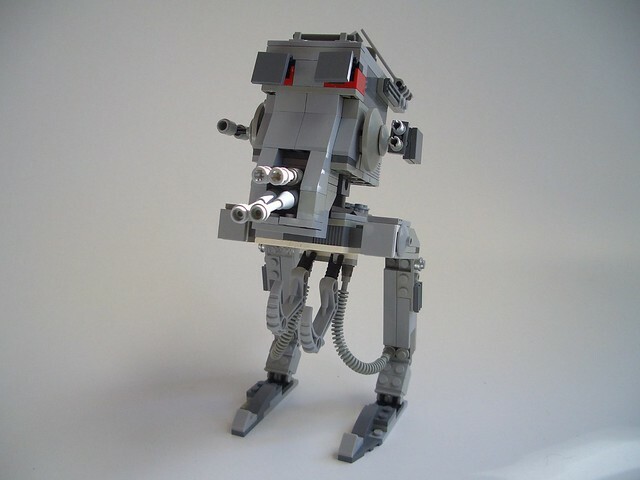 I'm glad to introduce an At-St "rebel solving". 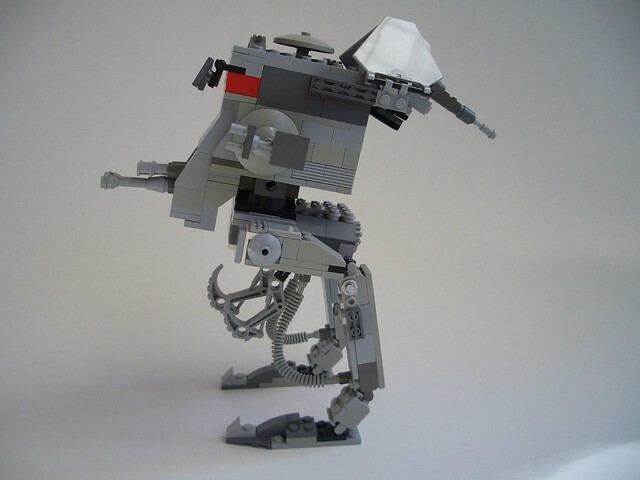 matoli, I'm sorry, but your evolved ATST is official set 7657 with some modifications so it does not qualify. Last edited by Sydag on Thu Jan 14, 2016 12:06 am, edited 1 time in total. 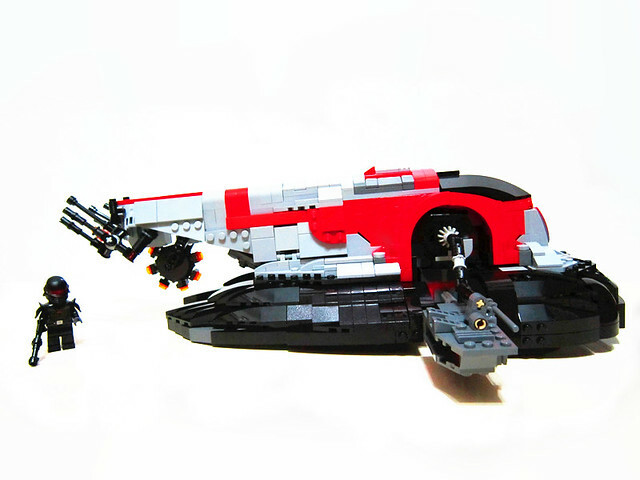 Following the battle of Coruscant with the heavy use of capital ships, the republic felt it necessary to develop a more powerful attack platform capable of carrying both missiles and bombs. 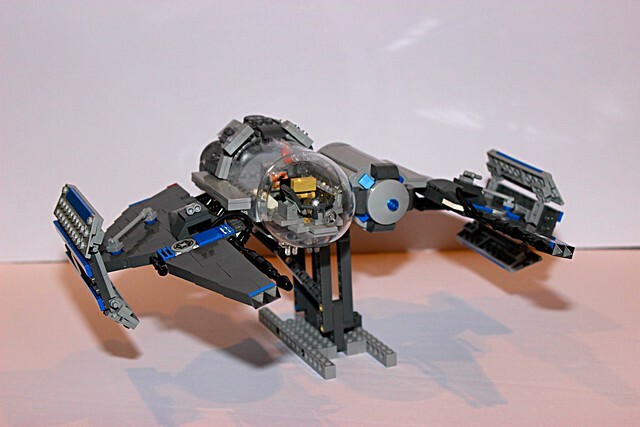 Based off the highly maneuverable eta class starfighter, the medium bomber was developed. 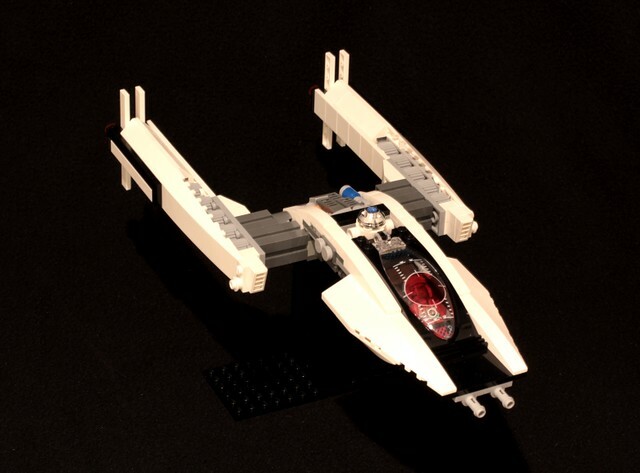 Several prototypes were built, however after Order 66 the plans and prototypes were "lost", only to reappear briefly in the Imperial navy. 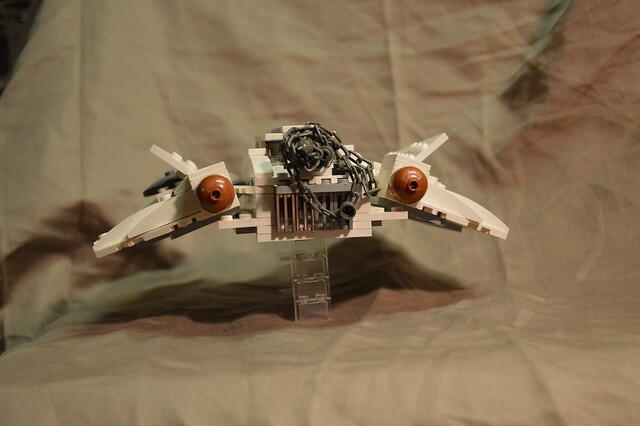 With the standardization of parts by the Empire this was further developed into the tie bomber. 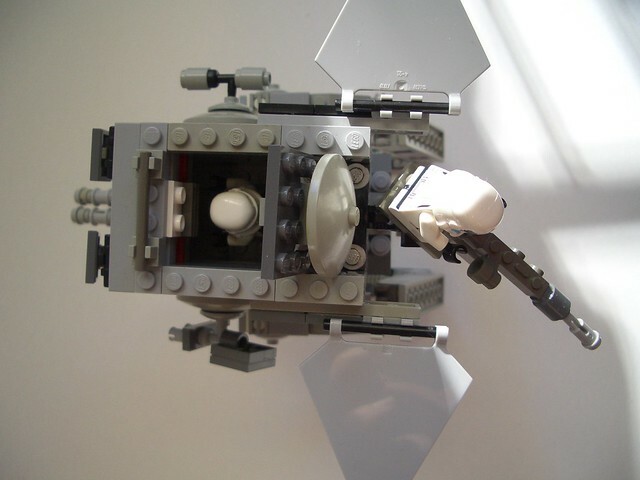 It is designed for a crew of 2, a pilot and munitions officer, as well as an astromech within the cabin for use with navigation. The cockpit is designed for high visibility. Last edited by banthafodder on Fri Jan 15, 2016 5:07 pm, edited 1 time in total. Hey everyone, this is actually my first post here in a long time. I posted here maybe five or six years ago, but I've since lost the account. 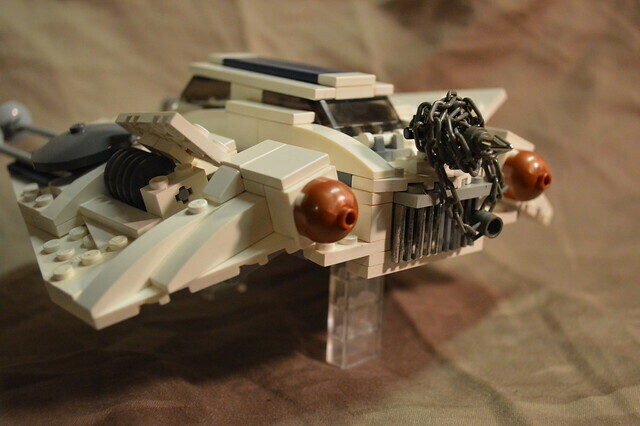 Anyway, here's my Resistance Snowspeeder! 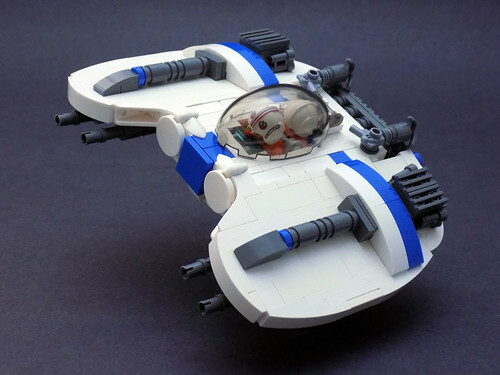 After the fall of the Galactic Empire, with the cessation of large scale hostilities, the Y-Wing evolved from a fighter/attack bomber into a paramilitary patrol interceptor/courier - smaller, more agile, faster, and less heavily armed. 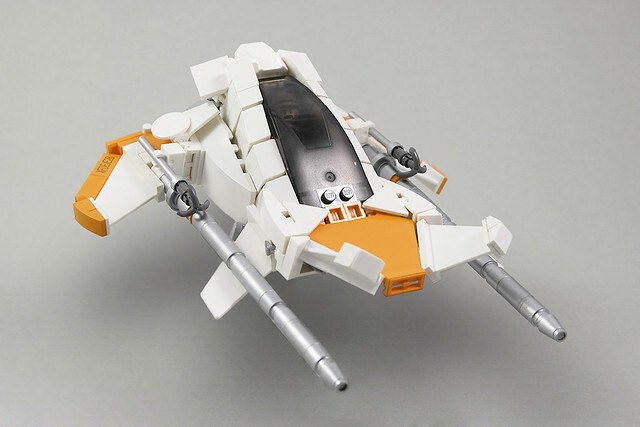 Project Code Name: HEY THEIR (turret payload) by SPARKART!, on Flickr. 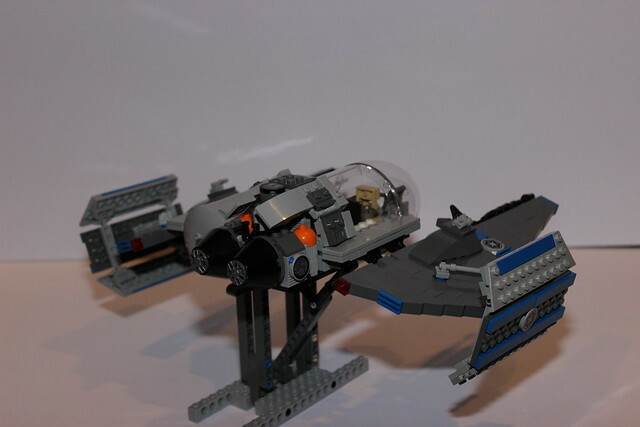 To combat the rising threat of the First Order, Resistance forces acquired scores of the latest generation Y-Wings and modified them for multi-role combat duty. 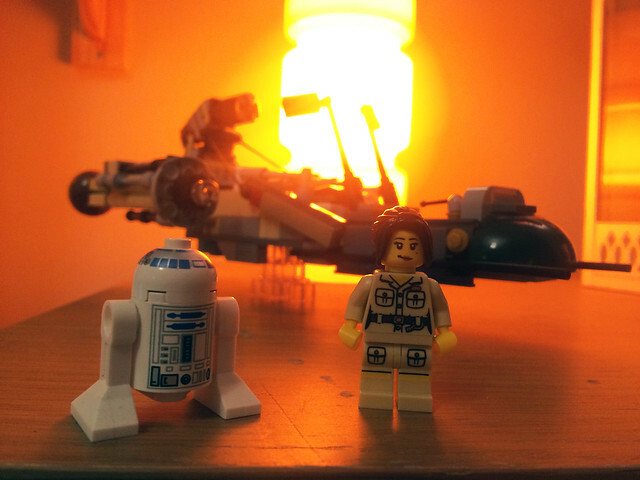 This program was code-named Project HEY THEIR (Highly Evolved Y-Wing To Hinder Expanding Imperialistic Regime). 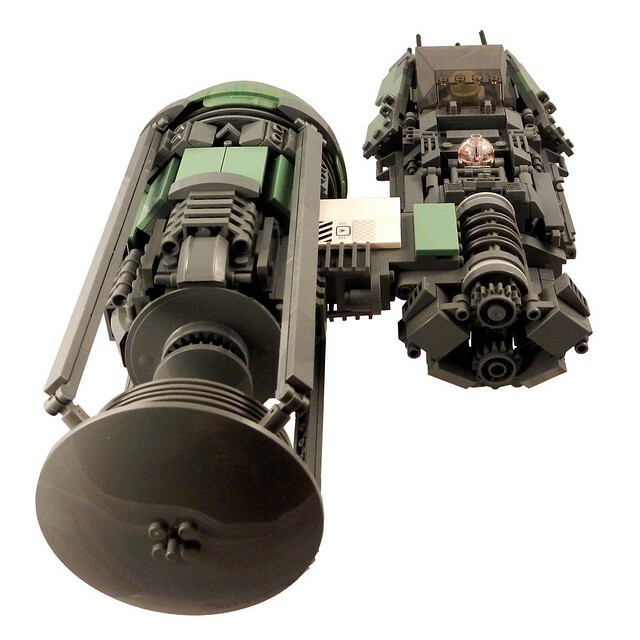 Heavy blasters were added, while body panels were removed to ease maintenance and create space to carry larger external payloads, e.g. 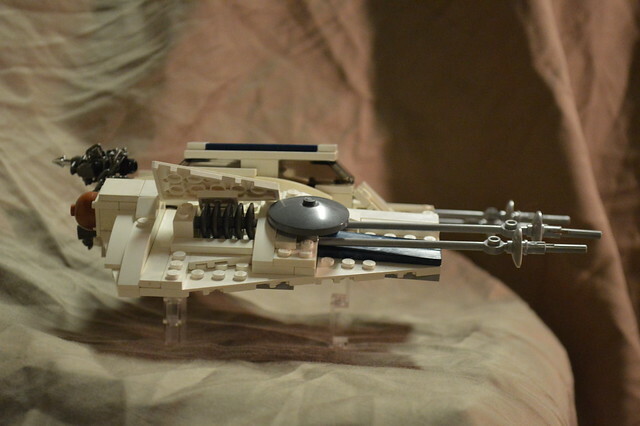 proton torpedo racks, ion cannon turrets, cargo pallets, and auxiliary fuel tanks. 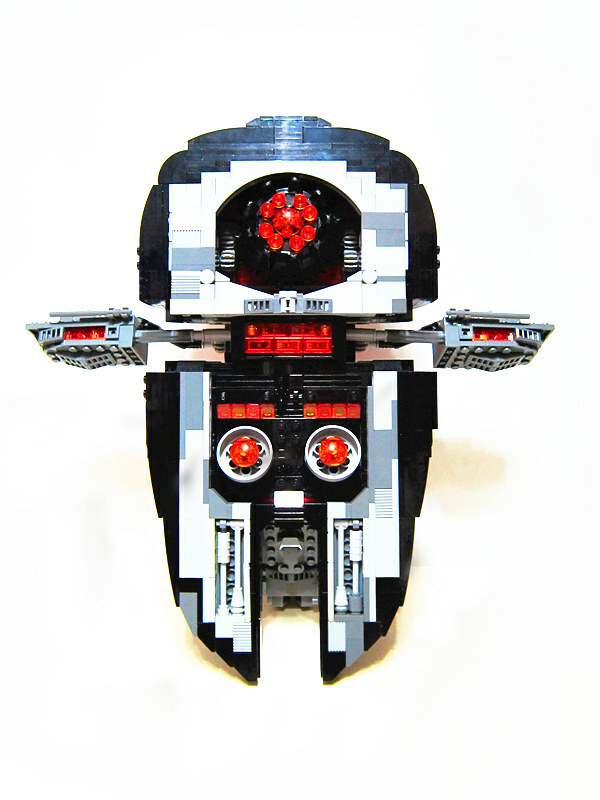 Project Code Name: HEY THEIR (pilot & payloads) by SPARKART!, on Flickr. Project Code Name: HEY THEIR (profile) by SPARKART!, on Flickr. Project Code Name: HEY THEIR by SPARKART!, on Flickr. 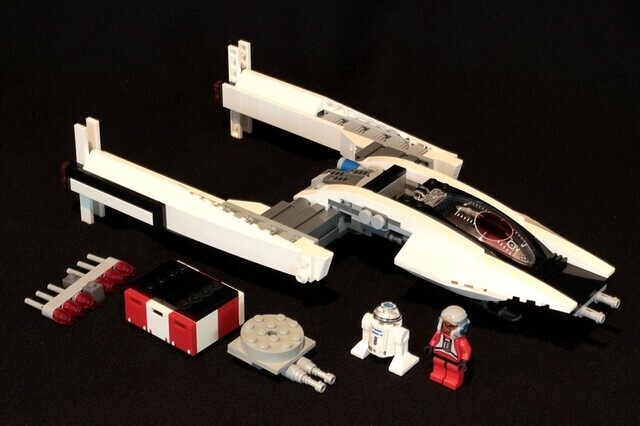 And I hoped I would be the only one with a Snowspeeder. The years since the second Death Star was destroyed haven't been kind to Tatooine. 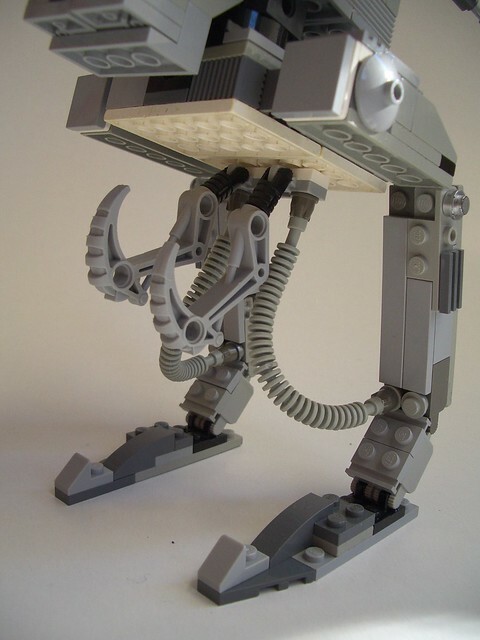 Left out entirely from The Force Awakens, its residents have developed into a hardy bunch as the Hutts have increased their gluttonous grasp on the desert planet. 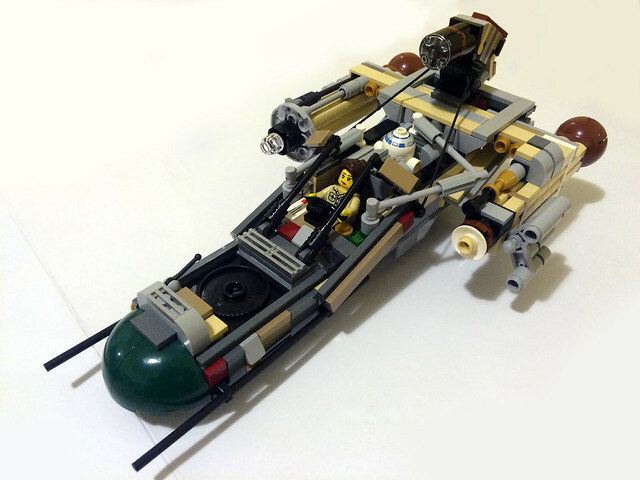 No longer safe to cruise from the local moisture farm to Tosche Station in the archaic X-34 model, the ZX-23 is the new way to travel across the vast expanses between Mos Espa and Mos Eisley in style- if you can afford it. 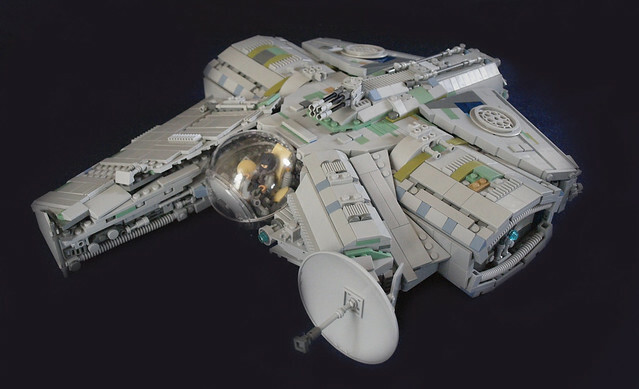 Built entirely from LEGO 10211 Grand Emporium (other than the addition of a trusty R2 Unit), the ZX-23 is a sleeker beast with room only for one pilot and her astromech companion. 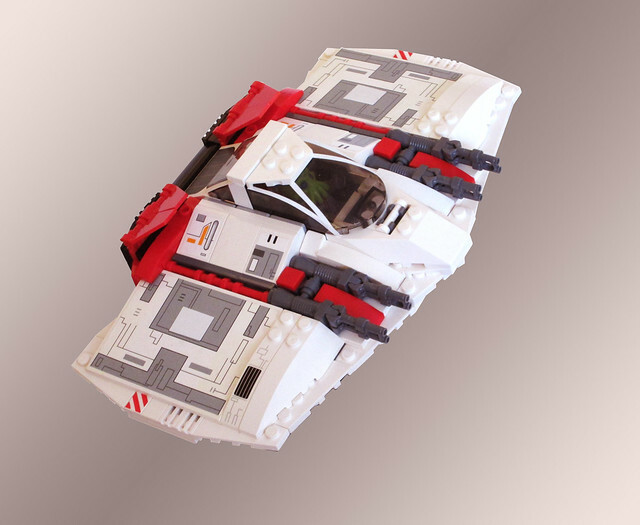 It also boasts an improved triple-unit engine controlled by its droid counterpart, and a retractable roll-cage pilot's compartment for an extra layer of protection inspired by the speeder bikes of Endor. 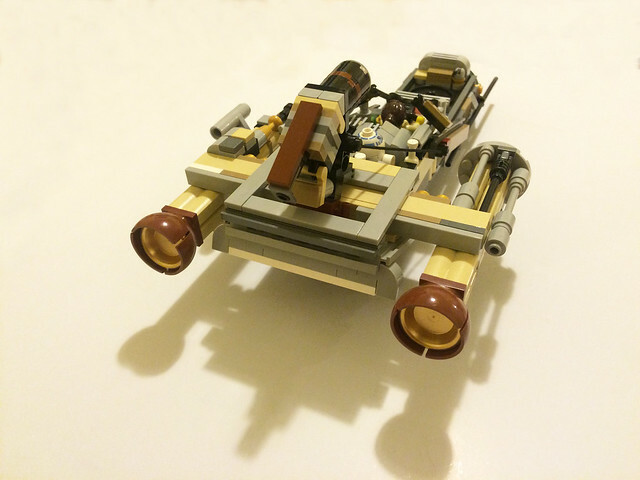 Hope you enjoyed this creation- my first ever proper Lego build! For more photos see my Flickr album. Bonus points if you can spot some of the more unusual parts from the Grand Emporium that have made there way in there. 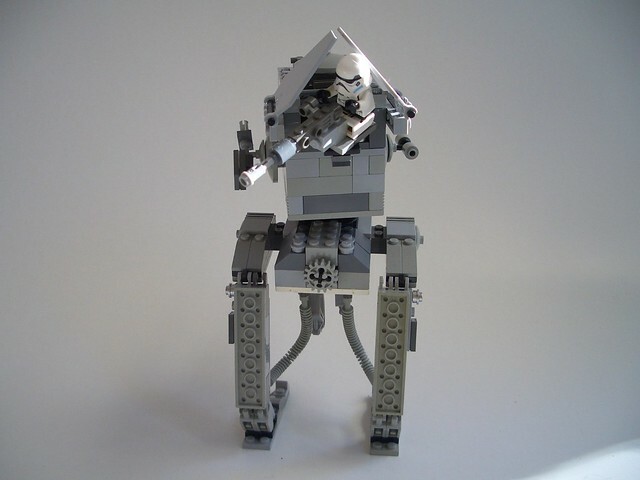 Solo wrote: matoli, I'm sorry, but your evolved ATST is official set 7657 with some modifications so it does not qualify. wow, sorry, I completely rebuild the set from other parts (i don't own the set itself) but i missed something in the rules. If possible i'd like to mantain the post in the thread even if escluded, i love this fbtb contest. 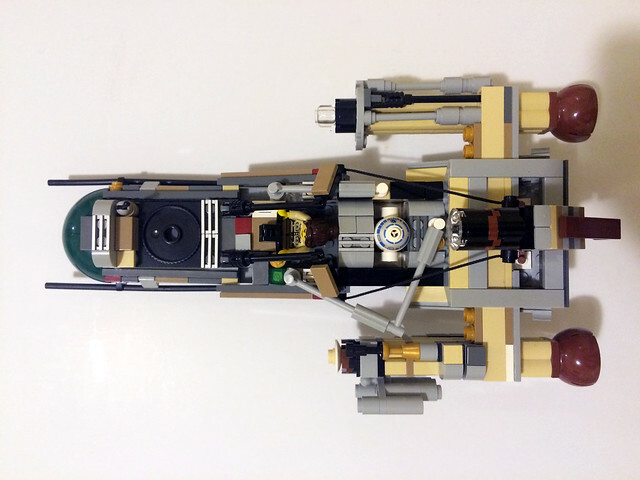 Anyway, here's my take on the legendary Slave 1! As a new fan of SW, I have to say I am not quite familiar with all the technical stuff, terms, characters or history, so forgive me if I made any mistake in the following description! 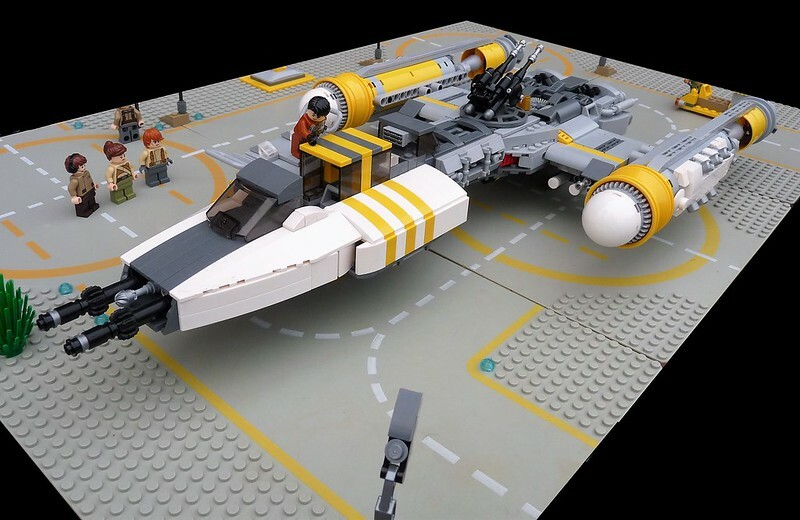 Years after the legendary Bounty Hunter Boba Fett has disappeared, in one of the search across different planets, The First Order managed to get their hands on this powerful ship and brought back its glory, by upgrading the system, plus some really eye-catching paint job. There are so many spots that I have changed from the original design, and the first thing to be noticed is definitely the colour scheme. 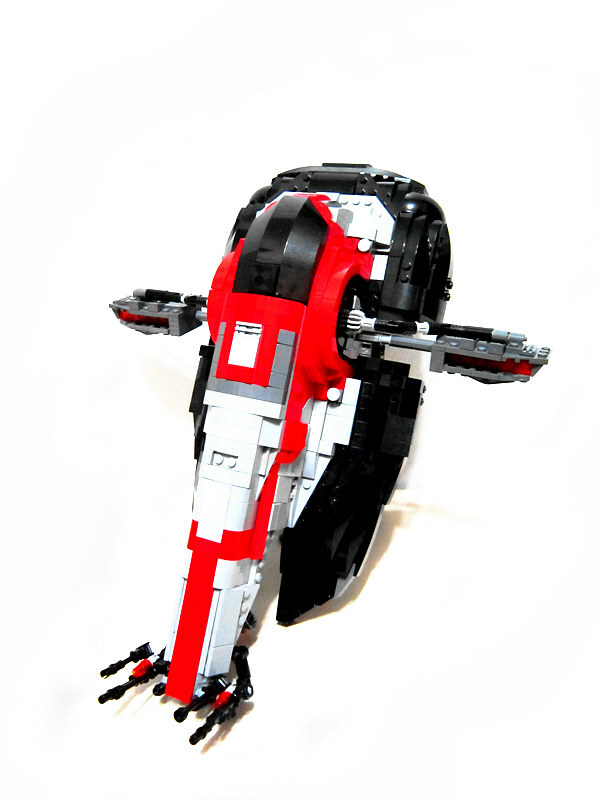 It has been one of my biggest concerns, but I think the black and red of the First Order did well with the grey; on the other hand, I have spent quite a long time to build in the red lining patterns along the ship, as well as all the angles on the "nose" part(hope you guys get which part I meant ) to achieve a smooth, curvy look. Another thing I have changed is the "oval base", I have cut the middle part of the lower half to make a vampire-teeth-like shape, which I think it looks way more menacing. As for the empty space of the middle part, I have utilized it as the stairway that will be shown as the door opens, you can see that in one of my additional image on my Flickr. Another main difference is the weapon, the change from a pair of dual shooters to triple cannons, and like any big guns, it needs a bullet strip to make it looks even more threatening. 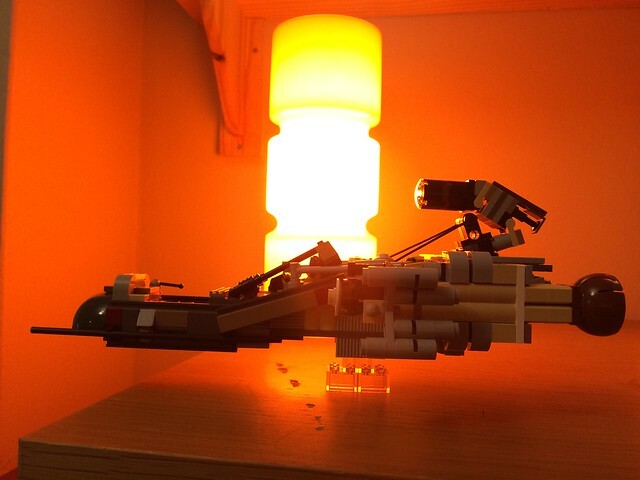 But of course, in the world of SW, no one uses bullets anymore, so I created the wheel of energy source, recharging the cannons as it is flying in action. The area below the cockpit also has a couple of missiles that can be retrieved in a really cool manner, that can't be shown in pictures. Again, a closer look at these features can be seen on my Flickr. Ah -ha! Yes I accidentally expertly carefully took the entire top off! This was not on my first draft. But after I was stunned by all the magnificent build here, as well as all the other wonderful Firesprays, I thought that I need to include something more to live up to the quality here! Of course the First Order wouldn't miss a chance to make this into a multi-purpose vehicle. 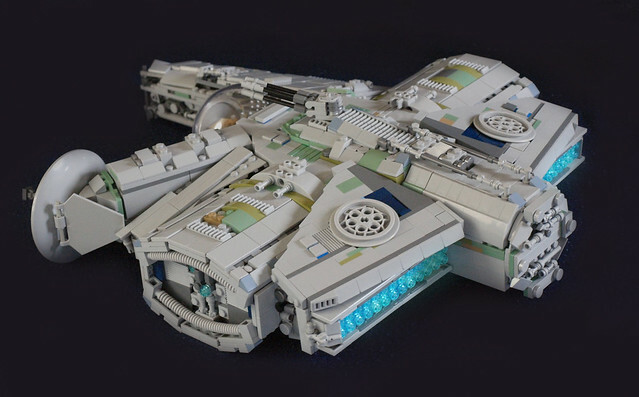 In case of being shot down (or if it is sent out on a battlefield), this beast does not rest on the ground, instead a scale-down AAT can be deployed from the "shipwreck" . In fact, I have been having the idea for a long time. 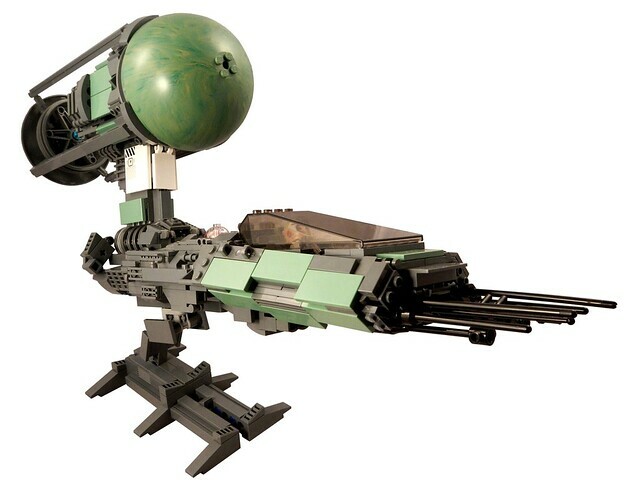 Every time when I look at an AAT, I think it somehow looks like the first half of the Slave I, tell me I am not the only one! I hate to make last-minute entries, but I have been really busy earlier. Hopefully my entry didn't violate any of the rules. 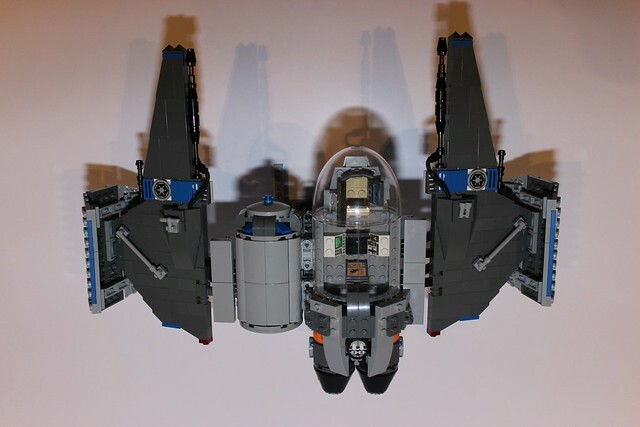 Speaking of which, the cockpit DOES fit a minifigure, it can be seen in the pictures in the gallery. (Sigh, there are just too much I want to show that I have to pick the 5 images very carefully.) Many thanks for FBTB holding this awesome contest, and the poster is really gorgeous. On the other hand, it's my honour to compete with all these awesome builders, everyone's entry has shown their very own characteristics and style, as well as their creativity and technique. Good luck everyone and hope you like my entry! 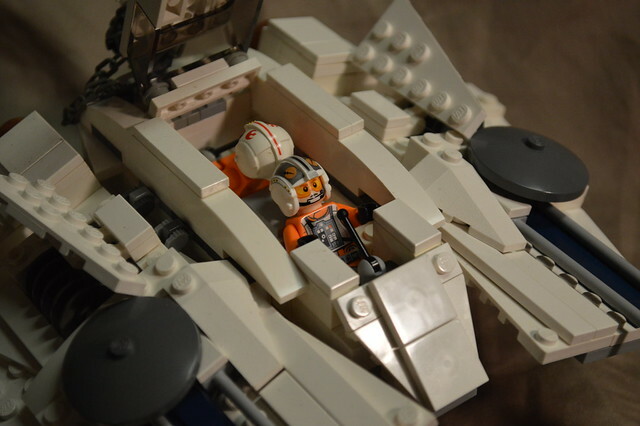 "Shortly after the Battle of Endor, the Rebellion knew that the temperamental T-47 airspeeders they had been modifying for atmospheres like those of Hoth were proving to cost more in upkeep than they were worth. The decision was made to develop a newer version alongside Incom and produce them for the cold weather planets of the galaxy. The T-51 has been updated with a dedicated pilot, and gunner who now faces forward to fire the 8 small laser cannons. Speed and agility have been increased, as well as the ability to adapt it various other planetary climes."